A SLANDER ACTION for defamatory remarks allegedly made about a Dublin man at a community association AGM was thrown out by a judge today on the basis it was “so wrong as to be beyond remedy”. Gerard Martin Fulham, of Nutgrove Avenue, Rathfarnham, Dublin, had brought the action against his neighbour, crèche owner Barbara Perry, also of Nutgrove Avenue. 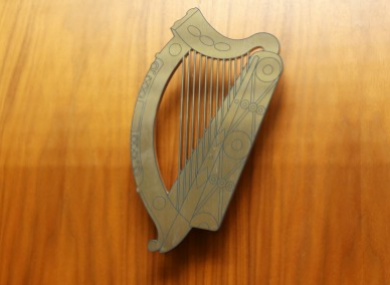 Judge Jacqueline Linnane in the Circuit Civil Court heard that Fulham had discontinued similar proceedings against Anne Griffin and Sharon O’Brien, both of separate addresses on Loreto Row in Rathfarnham. Thomas Mannion, of Mannion Solicitors, Main Street, Dundrum, asked Judge Linnane to grant an order for security of legal costs against Fulham on the basis there were already four outstanding registered judgments against his jointly-owned home. Mannion, representing Perry, said she had received a copy of an unissued civil bill in which Fulham alleged she had verbally abused him and made defamatory remarks about him. Mannion said Perry strongly denied the allegations and, apart from entering a full defence, would be making a counter-claim against Fulham. Perry feared that in the event of Fulham losing his action he would fail to meet her legal costs. Fulham, in an affidavit, told the court he had discontinued the proceedings against Griffin and O’Brien because Perry remained the “principle protagonist” against him. He said Mannion Solicitors had previously represented him and alleged they were in breach of solicitor/client privilege. Judge Linnane refused to grant an order for security of costs against Fulham. She said the criteria for such an order had not been met as he lived within the jurisdiction of the court and clearly had an asset in the co-ownership of his home. She said Fulham had drawn up his own endorsement of the claim alleging slander, which no longer existed in Irish law. He had not quoted any alleged words of defamation and, even making allowances for a lack of expertise in drafting proceedings, his purported action was “so wrong as to be beyond remedy”. She struck out his claim against Perry. Email “Judge dismisses case after man bases slander claim on law that no longer exists ”. Feedback on “Judge dismisses case after man bases slander claim on law that no longer exists ”.